A great treat for Christenings or Communions & Confirmations. 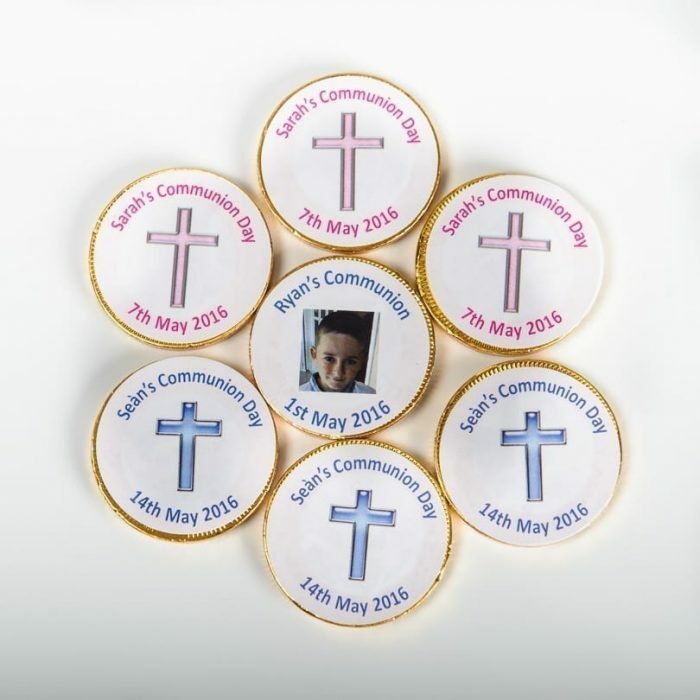 Choose from a blue or pink Cross. 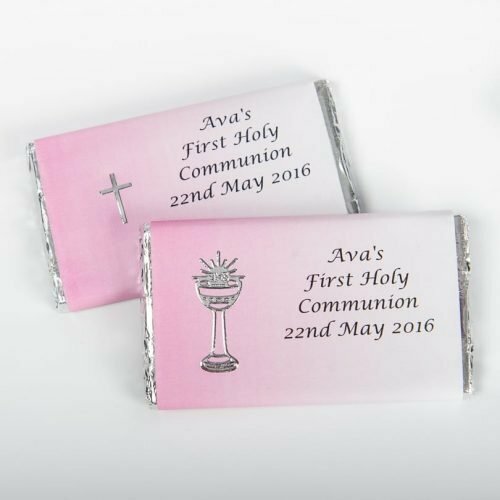 Our Personalised Christening Chocolate Coins come with a personalised label on both sides. 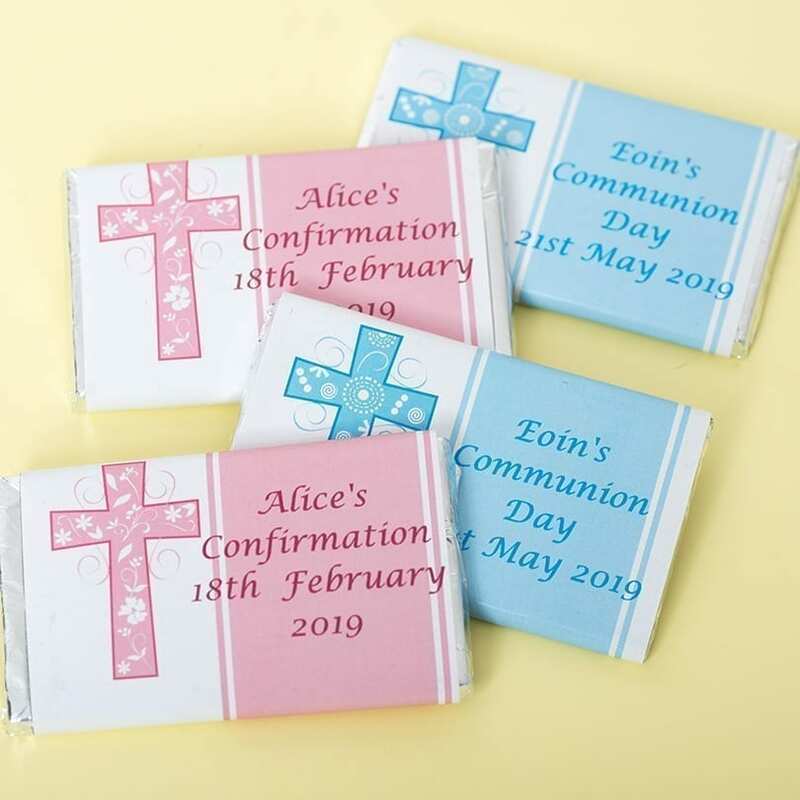 A great treat for Christenings or Communions and Confirmations. 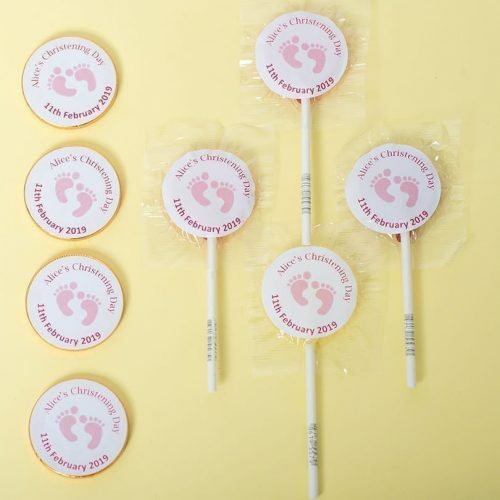 The label comes in either a blue or pink cross design with blue or pink text. Supplied in packs of 15.